All porous building material can benefit from having a good quality impregnating sealer applied. The most important reason is to protect the material from water ingress and UV damage also these common building materials ie natural stone, brick and render are subjected to much more hostile environmental pressures that at any other time in the past due to global warming, acid rain and industrial pollutants in the air. 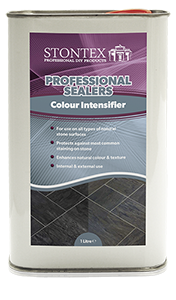 A good quality and long lasting impregnating / consolidator sealer will help protect your material from these issues and also make the material easier to clean and maintain keeping it looking its best long into the future. For the best advice on stone sealing products contact our suppliers. Dry Treat have a patented technology that permanently bonds the sealing molecules into the pores of the treated material making it perform long into the future. 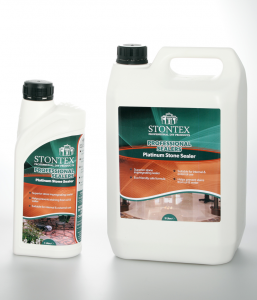 For more price sensitive projects a standard impregnating treatment has been developed under the Stontex brand that will perform similar in the short to medium term however it will wear off in three / five years and will need to be re-applied in contrast the Dry Treat sealers will continue to perform for up to 15 years. Dry Treat sealing products are one of the only products on the market backed by a 15 year site specific warranty confirming that the treated material will stay oil and / water repellent once applied by a Stonedoctors accredited applicator.